2018 NORTH CITY JAZZ WALK on Tuesday, August 14th, 2018 starting at 6pm in Shoreline! Join together at this affordable, family-friendly, live music event featuring TEN award-winning jazz bands, all situated along five blocks of 15th Avenue NE in Shoreline, Washington. Dance under the setting sun and stars to the strains of old and new jazz, enjoy delicious “Jazz Bites” food, a kid-friendly “petting zoo” of musical instruments, tours of Shoreline Fire District’s fire truck, a beer and wine garden, and more—all at North City’s TWELFTH annual Jazz Walk—the first kick-off event of Celebrate Shoreline! SEATTLE CHILDREN BUSINESS FAIR on Monday, August 13th & Tuesday, August 14th, 2018 from 12 p.m. through 5 p.m. at Crossroads Mall Bellevue! The Children’s Business Fair is the largest entrepreneurship event for kids in North America. They are organizing and hosting Washington State’s annual ActOn Children’s Business Fair, and are very excited to bring this opportunity to the youth in our communities! The goal of this event is to provide a platform for our youth community ages 6-18 to become entrepreneurs for a day. Our youth business ventures support social causes by donating a portion if not all of their profits. GIN NIGHT on Thursday, August 16th, 2018 in Bellevue! Taste samples from local distilleries and snack producers, with food truck fare for sale during Gin Night at WeWork Lincoln Square for age 21+. AUCTION OF WASHINGTON WINES on Thursday, August 16th through Saturday, August 18th, 2018 in Seattle & Woodinville! Sample wines, savor fine food, attend an auction, and visit winemakers at Auction of Washington Wines events, plus a Saturday 10K run and 5K run/walk! We all celebrate Pride in different ways, which is why PNW Black Pride offers something for everyone during Black Pride Week! SUNDAY SUPPER AT PIKE PLACE MARKET on Friday, August 17th, 2018 at Pike Place Market! At the height of summer in Seattle, Pike Place Market Foundation invites you to celebrate the 111th Anniversary of Pike Place Market. Sip and savor your way through 100 of the region’s best restaurants, wineries, breweries and distilleries while meeting local chefs and winemakers. After Sunset, dance the warm August night away under the stars to live music and join the Golden Raffle with chances to win fabulous prizes! They are thrilled to expand this event onto the new MarketFront again this year, complete withimpressive, unobstructed sunset views of Elliott Bay, the Great Wheel and the beautiful Seattle skyline. All food and drink are included with ticket purchase. Proceeds benefit the mission of the Pike Place Market Foundation to nurture a thriving Market community. SEATTLE TATTOO EXPO 2018 on Friday, August 17th through Sunday, August 19th, 2018 at the Exhibition Hall at Seattle Center! The Seattle Tattoo Expo was formed with the primary goal of exposing new talent, showcasing existing fan favorites and providing enthusiasts with a gathering place to share their love for this enduring art form. PACIFIC NW CHALK FEST 2018 on Friday, August 17th through Sunday, August 19th, 2018 at the Redmond Town Center! This family-friendly event will feature 14 internationally, nationally and regionally renowned chalk artists for a spectacular showcase, as they transform Redmond Town Center into pastel masterpieces. As you peruse street murals, enjoy the Annual Sidewalk Sale, sips and bites from RTC merchants, kids activities, and live music all weekend! 2018 CHIEF SEATTLE DAYS on Thursday, August 16th through Sunday, August 19th, 2018 in Suquamish! Chief Seattle Days is a 3-day public festival established in 1911 to honor chief Seattle, a famous leader of the Suquamish People for whom the City of Seattle is named. The first event was started on the current Celebration Grounds in Downtown Suquamish by local Tribal Members, community residents and civic leaders from the City of Seattle. At the time, the new town of Suquamish was linked to Seattle by foot passenger ferries which allowed city residents to travel across Puget Sound and enjoy the celebration. Many of the same activities from the 1911 celebration are still featured today including the traditional salmon bake, canoe races, baseball tournaments, drumming and dancing, and a memorial service for Chief Seattle at his gravesite in Suquamish. Throughout the years other events have been added to the celebration. These include a Coastal Jam, Powwow, Fun Run, craft and food vendors and the Chief Seattle Days Youth Royalty Pageant. Learn all about participating in this year’s events by reading the excerpts below. SNOQUALMIE RAILROAD DAYS on Friday, August 17th through Sunday, August 19th, 2018! Originally organized by volunteer firefighters in 1939, Snoqualmie Railroad Days is an annual festival in Snoqualmie, WA celebrating Trains, Timber, and Tradition. Today, the Northwest Railway Museum and the City of Snoqualmie host thousands of visitors for the annual event – and this year they celebrate nearly 80 years! EPIC TACO FESTIVAL on Saturday, August 18th, 2018 from 1 to 8pm at Fisher Pavilion at Seattle Center! Can you handle the heat, Seattle? The Cuervo Tradicional Taco Takeover and Cocktail Competition is coming to the beautiful Fisher Pavilion on August 18th. As the judges, your job is to try dishes from 10+ chefs serving up their best tacos, sip on tasty submissions to the Jose Cuervo cocktail competition, and enjoy games, live music and more. Tough gig. WASHINGTON BEER BBQ on Saturday, August 18th, 2018 from noon to 6pm at South lake Union Discovery Center Lawn! The Washington Beer BBQ will take place Saturday, August 18th, Noon-6pm at South Lake Union Discovery Center Lawn! (Denny & Westlake). The smell of smoked meats will fill the air and a palate pleasing selection of 100+ Washington craft Beer will be on tap at the inaugural Washington Beer BBQ! Get your tickets to our newest event which will include delicious barbecued items from some of the best BBQ food trucks in the area all paired with a wild variety of Washington Beers from 33 local breweries. HOT SAUCE FEST on Saturday, August 18th, 2018 at the Ballard Commons Park! Hot Sauce Fest is this summer’s hottest festival in town! A combination of fun, food, and community, this free event features the best hot sauces, food trucks and entertainment. 12TH ANNUAL DUWAMISH RIVER FESTIVAL 2018 on Saturday, August 18th, 2018 at Duwamish Waterway Park! The Duwamish River Festival celebrates the river’s amazing comeback with music, lunch, kids’ activities, art activities, and kayak and boat rides at Duwamish Waterway Park! CELEBRATE WOODINVILLE FESTIVAL on Saturday, August 18th, 2018 in Woodinville! Celebrate Woodinville Festival has pancakes at the fire station, an 11 a.m. parade on 175th Street, a farmer’s market, an arts & crafts fair, a wine & beer garden, food vendors, and kids’ activities at Wilmot Gateway Park! SAUSAGE & CIDERFEST on Saturday, August 18th, 2018 at Covington Community Park in Covington! 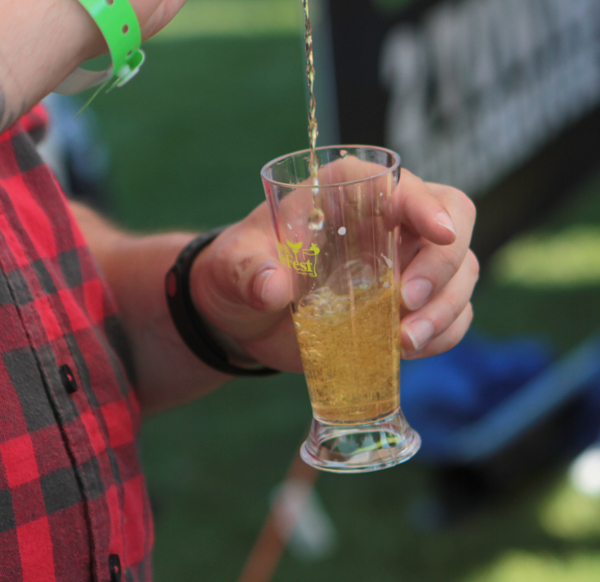 A ticket to Sausage and CiderFest includes 10 tastes of cider, six wines, sausage samples, music, and lawn games for age 21+ at Covington Community Park. TUMWATER ARTESIAN BREWFEST on Saturday, August 18th, 2018 in Olympia! Beer has a long history in the Olympia area because of its natural springs. Taste 100 northwest beers at Tumwater Artesian Brewfest, with wine, food trucks, and games, on a golf course for age 21+. SEATTLE MINI MAKER FAIRE on Saturday, August 18th through Sunday, August 19th, 2018 at the Museum of Pop Culture! Tech enthusiasts, crafters, scientists, and garage tinkerers share their passion projects at Seattle Mini Maker Faire. Young children need supervision due to moving parts, electricity, and fire, at the Museum of Pop Culture (formerly EMP). KIDS OBSTACLE CHALLENGE on Saturday, August 18th and Sunday, August 19th, 2018 at Lake Sammamish State Park! Subaru Kids Obstacle Challenge is the ultimate family adventure and the only obstacle course designed for kids ages 5-16, where both kids and parents get to run together! If you are looking for a family-friendly kids event in the Seattle area – look no further! With a competitive wave in the morning and family fun waves throughout the day, our adventure course is 1.5-2 miles long with mud, water, and 13-15 fun and challenging obstacles. Register your child and you – parents/legal guardians – participate for FREE! It’s like getting 3 for the price of 1! BRASILFEST on Sunday, August 19th, 2018 from Noon to 7pm at Seattle Center, Fisher Pavilion, Armory and Mural Ampitheater! Hear classical guitar, traditional folk music, and samba at BrasilFest. Watch a demonstration of capoeira martial arts, see glittering costumes, and eat authentic food at Seattle Center. Free entry. CAPITOL HILL COMMUNITY GARAGE SALE DAY on Sunday, August 19th, 2018 in Capitol Hill! Capitol Hill Garage Sale has sellers in Cal Anderson Park, plus dozens of neighborhood sales.